Just a quick little project today. My background papers are from We R Memory Keepers Yuletide collection. This collection has only bright and cheerful colors in it and I love it. 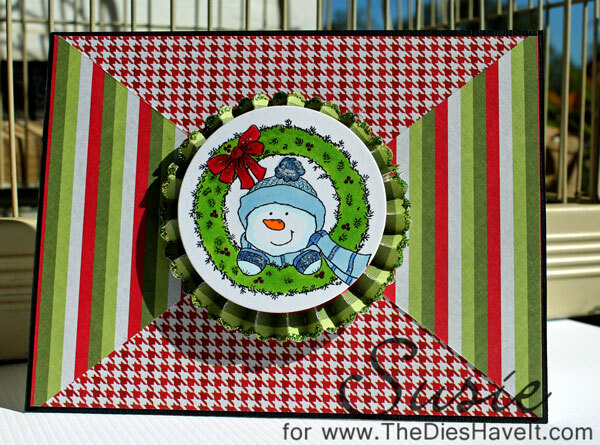 The image is from last month's Designed2Delight monthly release. It won't be long until this month's release which happens on November 20th. 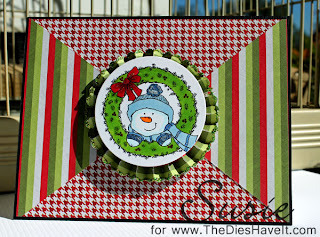 I used the Tim Holtz rosette die underneath my image which was cut out with a Spellbinders die. This was a very quick project. The only thing that took a while was waiting for the Stickles around the rosette to dry.